Sometimes you might want to trim some section of a movie or a song and remove the unwanted parts of it; or you just need to cut the large video or audio into smaller pieces. At this time, what you need is just a useful media cutter. There are plenty of media cutters online, and why you might not choose one of them? Several reasons may explain that. First, it may be unsafe. Your personal and privacy info may be leaked on the Internet. Second, many annoying ads may probably appear now and then, which makes you feel unpleasant. Last but not least, many online video splitters would cut the video or audios files but lose some quality. For that reasons, here we're going to introduce you a professional media cutter tool - Joyoshare Media Cutter - an easy-to-use media cutter to trim any video and audio without any quality loss. Part 1. What Is Joyoshare Media Cutter? 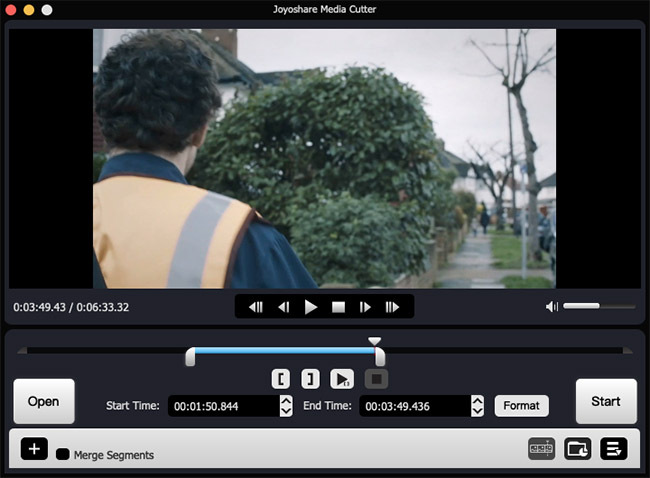 Joyoshare Media Cutter is a smart 2-in-1 media cutter and joiner to help you not only split any video/audio to play on various popular devices with 100% original quality, but also merge the segments you cut in any way you like. The software has two versions for both Windows and Mac users, and you can get the media cutter free download from its official website. Besides, there is also free trial version provided before purchase. As a powerful video/audio trimmer, Joyoshare Media Cutter enables you to cut both audios and videos fast and losslessly. 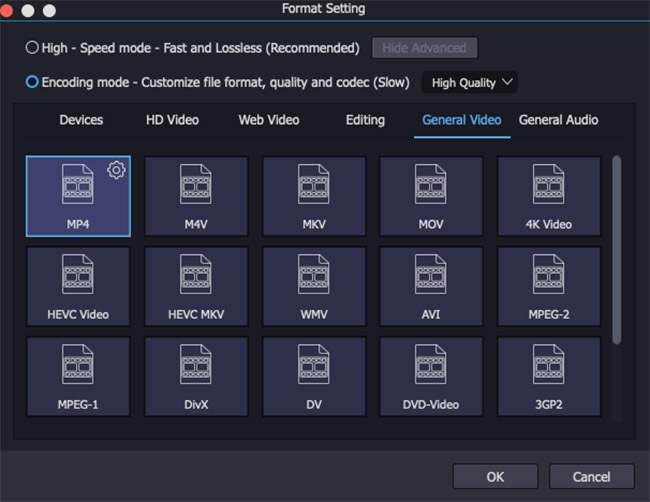 It supports lots of input and output file formats, including MP4, WMV, AVI, MOV, MKV, 3GP, AAC, OGG, MP3, WAV, etc, so that you can get any format you want. Again, it also converts the trimmed video clips to popular output profiles, such as Samsung, Apple iPhone, Kindle Fire, Nexus, Xbox, PSP, etc. Next, let's elaborate on the outstanding features of the program one by one. Joyoshare Media Cutter can stand out from various video cutting tools in the market becuase of its distinct features. Now let's see what are these characteristics. Are you upset when you cut a video or audio and get a worse new one? You cannot see the clear footage or voice as shown in the original one, what will you do? Get rid of this video cutting tool right now! Without Joyoshare Media Cutter, you don't have to worry about these issues. The media cutter software will present you a 100% high-quality video or audio as you wish. Thanks to the innovative research & development, you can totally rely on it. 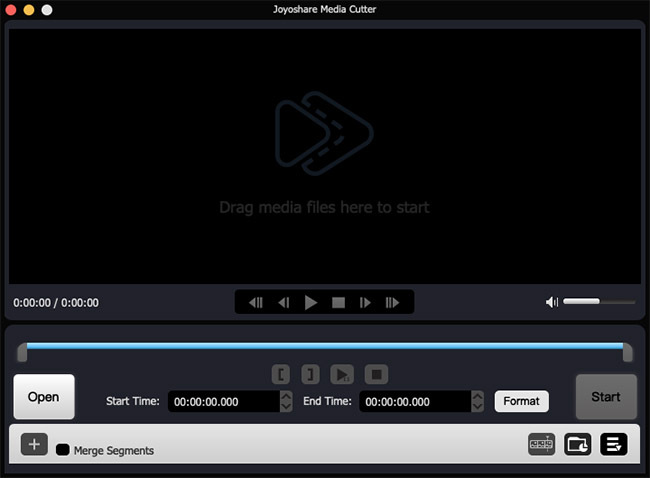 Joyoshare Media Cutter is not only a video/audio splitter, but also a media cutter joiner. It enables you to cut the large video and audio into smaller ones; or cut the file into pieces and remove those useless parts. Then, you can also combine the segments you cut just now together to form a new one. But remember that, you can only join the video/audio segments from the same video/audio. The video trimmer can cut both HD videos and standard videos in different formats, such as MP4, AVI, H.264, MKV, MOV and etc. It allows you to save the files as a standard video, HD video or just web video in the formats of WMV, MKV, M4V, MP4, Youtube, Vimeo, Facebook and so on. In addition, the media cutter also supports tons of audio file formats like MP3, M4A, WAV, WMA, OGG, CAF, AIFF, APE, FLAC, M4B, M4R, MKA, AU, ALAC, etc. If you want to save the new file on your own device after trimming the video or audio, is that possible? Of course! Joyoshare Media Cutter also supports to export videos and audios onto a wide range of common devices, including iPhone, iPad, Apple TV, Galaxy, Blackberry, Windows Phone, Xbox, PSP and more. Note: For more info about the specific supported formats and devices, please refer to the tech specification of the software. Joyoshare Media Cutter is embedded with an advanced and innovative acceleration processor, which makes it possible to cut videos and audios at 60X faster speed. For instance, you can easily trim and convert a 60-minute video or song within only one minute. More importantly, the program keeps a good balance between speed and quality. It means that Joyoshare Media Cutter works at such an ultra-fast speed without sacrificing the quality of the original videos/audio. Therefore, it has now become one of the fastest video trimmers in the market. It's worth mentioning that the size of the software package is very small, so you can download it in just a few seconds. The installation process is also very fast and easy. When you open the media cutter software, you might be attracted by its simple and clear user interface. Yes, anyone can use it to cut and merge the video and audio with only a few clicks. If you still want to know how to cut large videos and audios, let's move to the next part. Before splitting the media file, please make sure you have downloaded and installed the program on your computer. Then we take Mac version as an example. You have two methods to do this. One is click the “Open” button and import the target video or audio. The other is to just drag and drop the file to the program. Remember that you can only add one file at a time. Just use the control key to select the trimming segment. Alternatively, manually set the temporal interval as you like. Both ways allow you to have a real-time preview about the source file. Then click the “Format” button and select an output format as you like. We recommend you to tick the “High-Speed Mode”, so you can get the video fast and losslessly. You are also enabled to customize your own video/audio if you choosing the “Encoding Mode”. After all the settings are finished, click the “Start” button to cut the file and while for a while till it's completed. Open the destination folder to find your new video or audio by clicking the icon. Now, everything is done.